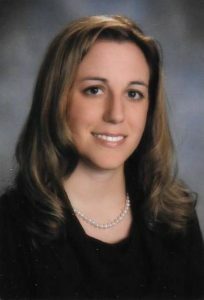 At Boyle Eye Specialists in Scranton we offer caring and compassionate care on an individual basis. Since we are not a huge institute with high volume and a detached attitude, We can offer a unique blend of intimacy and high quality care. Questions about your vision? 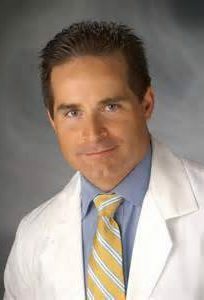 We are committed to developing a strong and open relationship with our patients. Our eye doctors will perform thorough eye exams to check your eyesight and eye health. We will explain your condition and address your concerns – patiently and completely. We keep watch on medical advances in optometry, so you will receive the most advanced treatment possible. Ranging from basic vision correction with designer eyeglasses or contact lenses to treatment for a complicated eye disease, our optometry team will satisfy your visual needs. I’ve had dry eye for several years and it evolved to a point where I could hardly tolerate it. I was tested on what type of dry eye I have and found out I was a candidate for Lipiflow. I got my treatment that same day. The treatment felt very comfortable. Now I have no pain in my eyes, light doesn’t bother me as much, my life is different. I am grateful. I am now at 4 months after my Lipiflow treatment and I feel super! I no longer use eye drops during the day and use limited drops at night. Comfort is what I notice most. The treatment itself was pleasant and it’s nice not to depend on wetting solutions for eye lubrication. I noticed a maximum improvement in my eyes 8 to 10 weeks after the treatment and that has maintained. Within three days of receiving the LipiFlow procedure, I noticed that my eyes are not nearly as tired, red or watery as they were before. A week later, I noticed significant improvement and as a result, my eyes are not as dry. I can concentrate on completing a task for longer than before. I have suffered from dry eye for more than 36 months, and spend on average about $100 per month. Dry eye hindered me from enjoying my leisure time and hobbies. I would recommend Lipiflow to friends with dry eye. 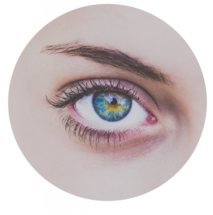 We invite you to benefit from our full range of excellent eye care services at Boyle Eye Specialists, PC. Our optometrists, Dr. John Boyle and Dr. Ashley Wagner, will welcome you warmly and pay attention to your individual needs. High quality, personalized eye care is our focus. 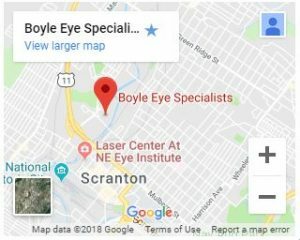 Furnished with the latest diagnostic technology and a friendly ambiance, our modern Scranton office is located conveniently to provide vision care for nearby Lackawanna County and Dunmore, PA. Visit us to see eye care in a whole new way! Scleral contact lenses are large diameter rigid gas permeable lenses designed to pass over the cornea, resting comfortably on the white of your eye, also known as the sclera. This allows scleral lenses to replace the irregular surface of the cornea with a perfectly formed optical surface, giving you perfectly crisp vision you may not be able to accomplish with eyeglasses or other forms of vision correction. 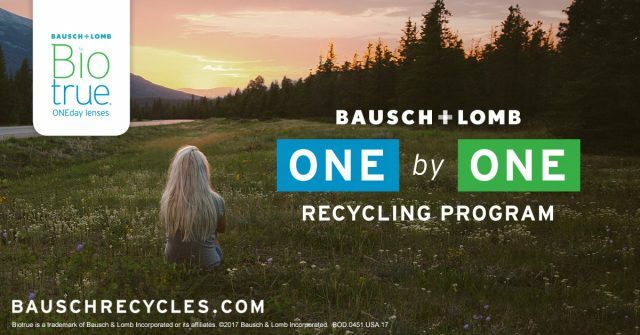 Boyle Eye Specialists is proud to participate in the Bausch + Lomb ONE by ONE Recycling Program! We can make a difference in reducing the amount of waste deposited to landfills across the country by dropping off used lenses, blister packs and top foils. Learn about eye exams for the whole family, what’s involved in a comprehensive exam, and special considerations for kids and contacts.